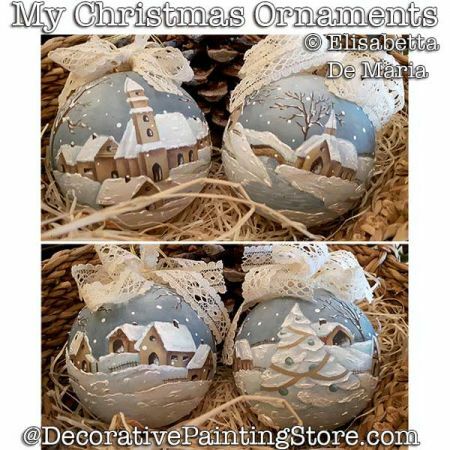 Painting ePattern Tutorial called a My Christmas Ornaments...winter snow scenes of houses, church, and snowman on Christmas ball ornaments. Pattern to trace fits 3" ball. Enlarge or reduce to fit a surface of your choice. The designs are painted with DecoArt Americana Acrylics. Pattern includes English and Italian instructions, photos, line drawing.